Hello all! It is a perfect Autumn day in Texas. Sunshine and clear blue skies with a cool, ever so welcome, calm breeze. Today I celebrate life! I woke up, I’m alive and feeling good. Well …okay, maybe a few aches and pains here and there …but hey, who is complaining? Not me! I got up, got moving, went on a nice morning walk and then stopped for a Spiced Pumpkin Latte from Panera Bread. A great start to a great day! Speaking of celebrations, what better way to celebrate than with food. Am I right? Who is with me? 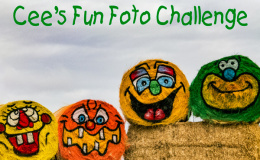 And what better way to celebrate and share food than at my favorite link up party, Fiesta Friday. The recipe I have for today is one of my favorites, of all cakes, this one is in the top 5. 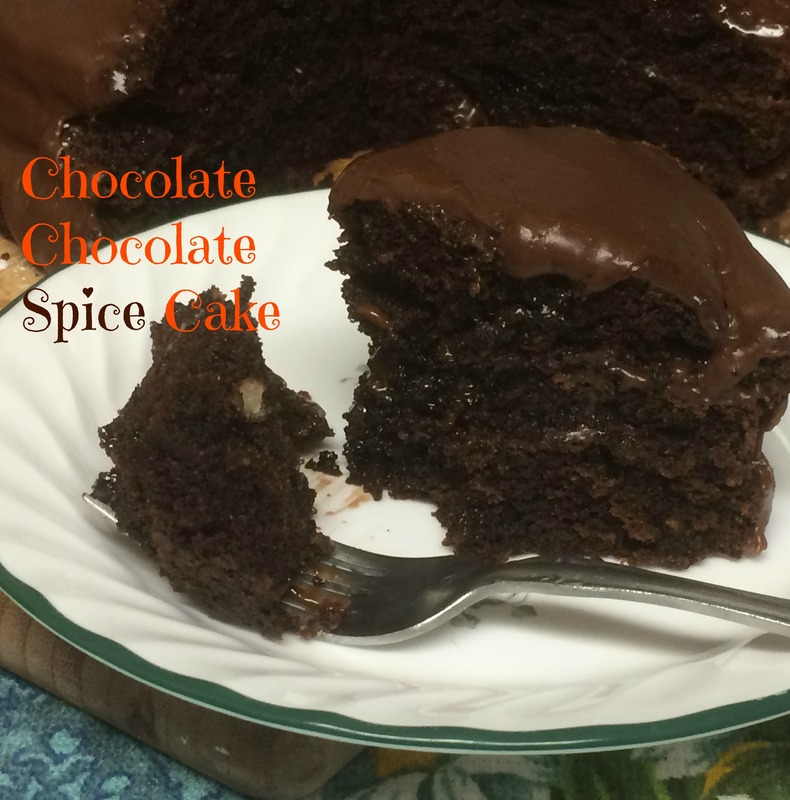 It combines two of my favorite things; chocolate and those wonderful fall spices. What better cake for a fiesta, for a celebration, it is the perfect cake for any occasion! 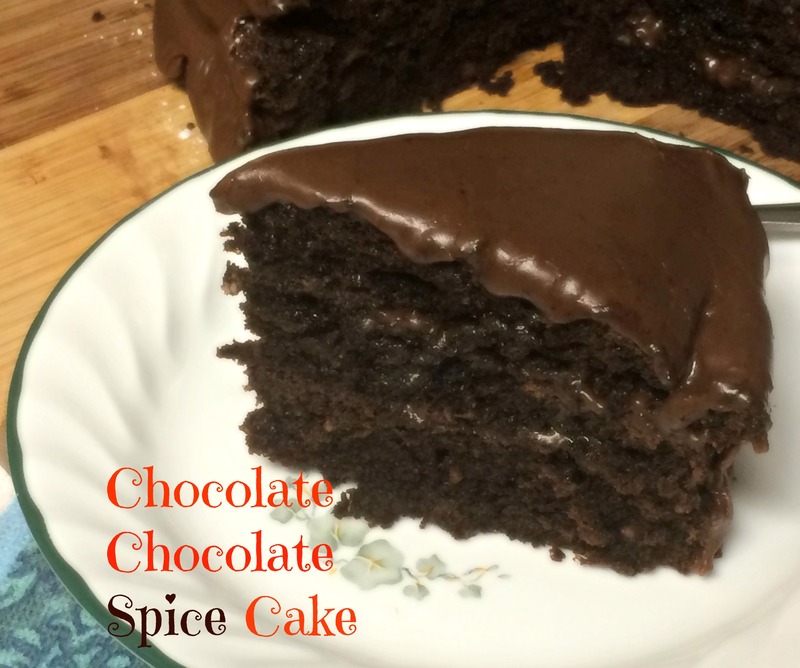 This is a very moist cake with rich and decadent chocolate. Are you in love with chocolate? Do you want lots of it? This is the perfect cake for you! 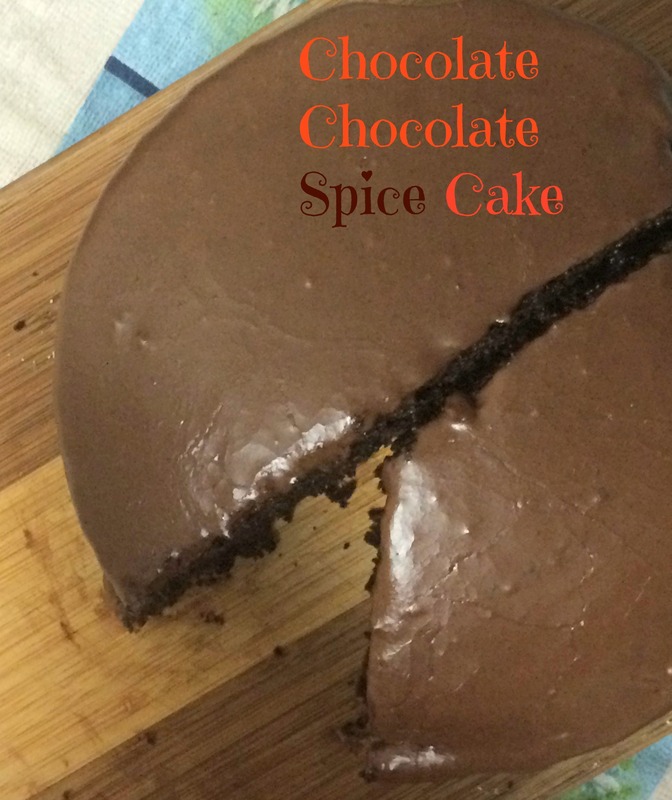 Wonderful autumn spices are the perfect compliment to this basic chocolate cake recipe. Preheat oven to 350 degrees F (175 degrees C). Grease and flour two nine-inch round pans. In a large bowl, stir together the sugar, flour, cocoa, baking powder, baking soda and spices. Add the eggs, milk, oil and orange extract and chocolate chips, mix for 2 minutes on medium speed of mixer. Stir in the boiling water last. Batter will be thinner. Pour evenly into the prepared pans. What a delicious cake, looks so good! Chocolate, chocolate – that’s all I need to know that your cake will be good and then to make it better using spices of the Fall season. Really, 2 tsp. of orange extract? This must be delicious with that mixture of spices. It will be the next birthday cake I make. oh decadent chocolate!! How are you!! This cake looks so moist and decadent! 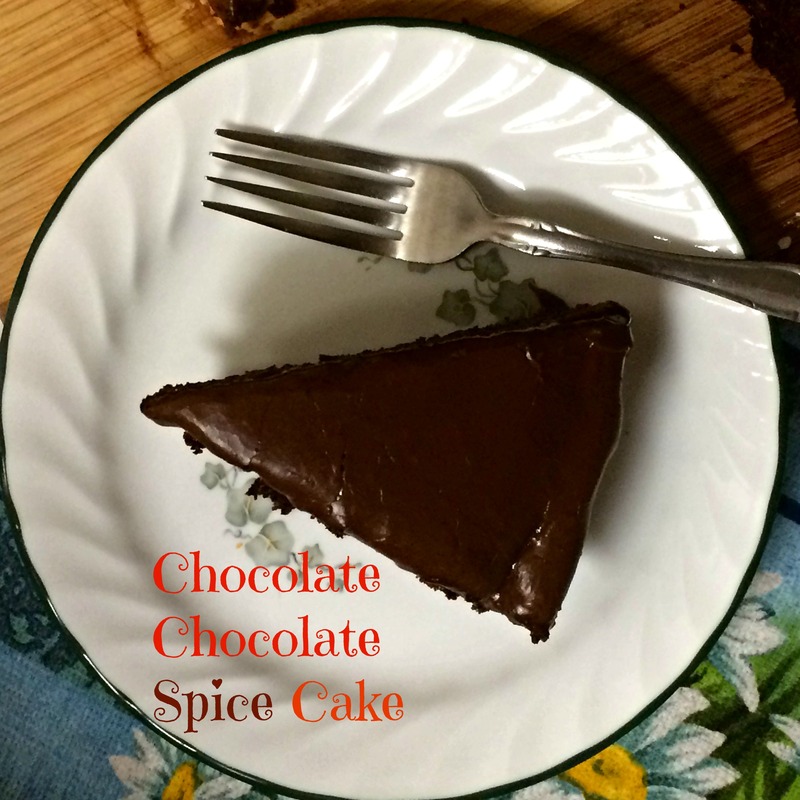 I’ve never had a chocolate spice cake, but I love spice cake and I love chocolate, so I definitely on board!